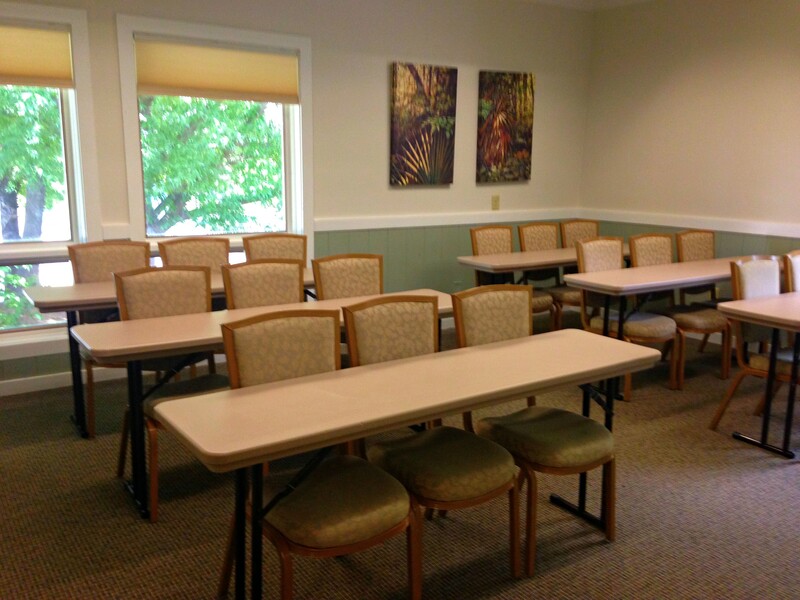 Our meeting rooms provide professional venues for smaller gatherings and break out rooms for larger conferences. 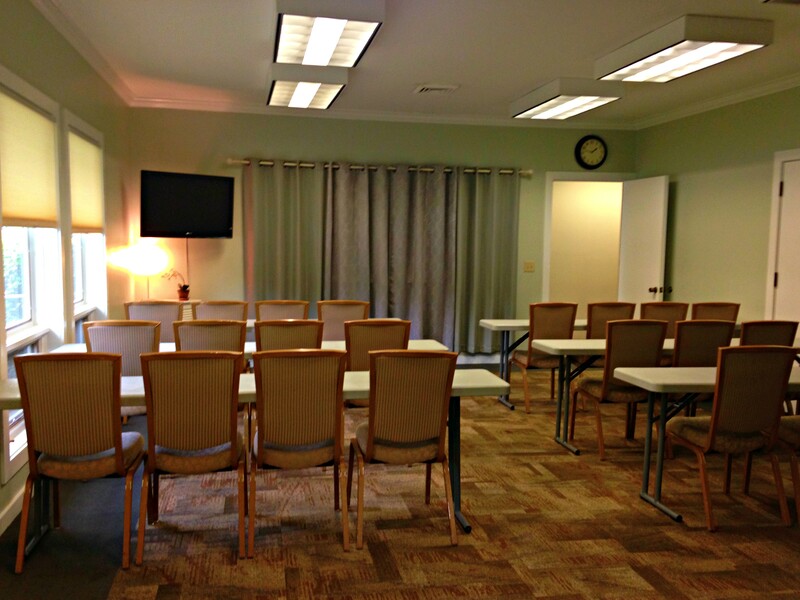 The rooms can be arranged in a variety of ways to serve classroom, workshop, webinar, or party needs. The Event Center is a beautiful venue for holding an event. 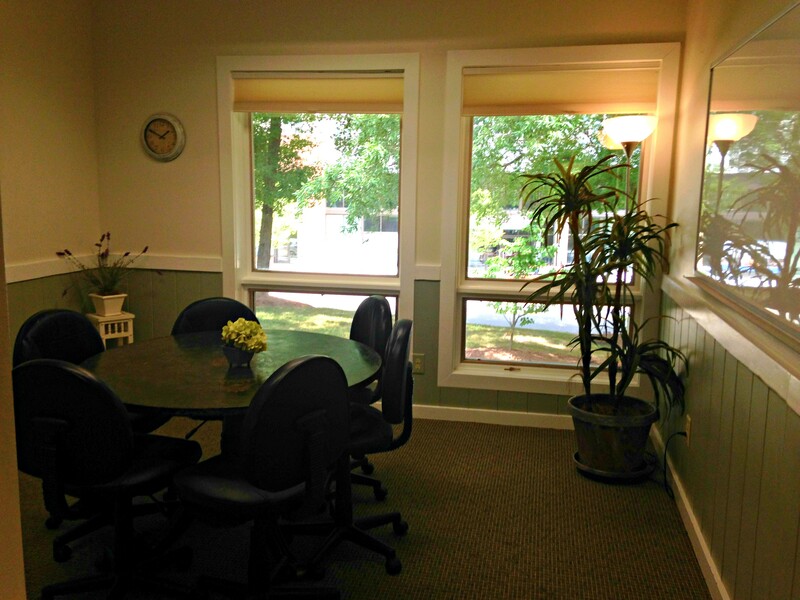 It is very flexible, providing a Great Room for large gatherings, along with classrooms and conference rooms. It has all the technical equipment necessary for presentations, which is very easy to use. There is plenty of parking and the facility is very accessible for people with disabilities and special needs. The staff is extremely helpful and accommodating. They work with you to build a set up plan. They are quickly reachable by phone or email. We held an all-day event at the Event Center, including use of the Great Room, classrooms, kitchen, and technical equipment. We received numerous compliments about the Event Center from our attendees. Highly recommended – the Event Center will be our first choice for future events.